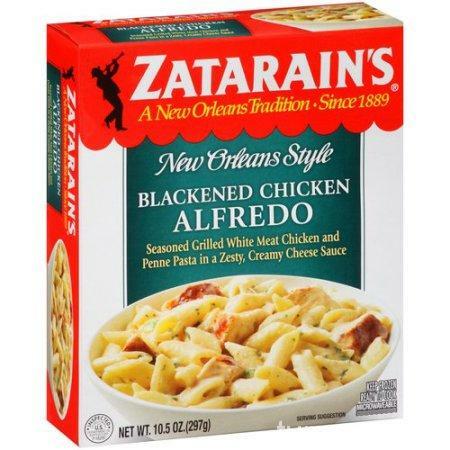 Zatarain’s actually makes some decent frozen meals – it’s not all crab boil and boxes of rice. 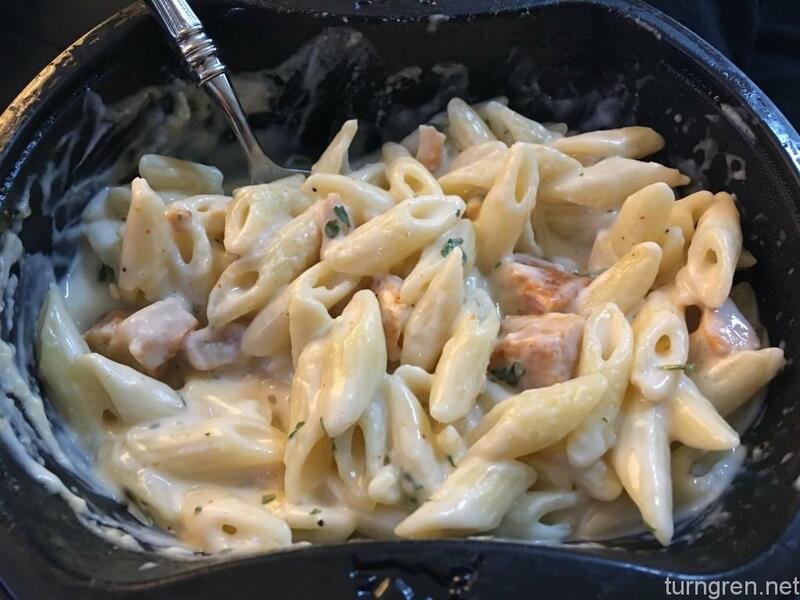 Today I’m going to review the Blackened Chicken Alfredo. This was good. This was better than I was expecting it to be. I’ve had is several times. The chicken really held flavor on its own – I’m not used to that. In my experience, chunks of chicken that go into things like this tend to be pretty bland – or simply just absorb the odor of whatever they are cooked in. But these are different. Each piece of chicken on its own tastes like blackened chicken. If you pull a piece of chicken out, it isn’t overwhelmed by the alfredo sauce. The sauce and noodles are both really good. When combined with the chicken, it’s slightly spicy – but not overwhelmingly so. The consistency is good too, both of the noodles and the sauce. The noodles have a smooth al dente feel, and the sauce – while it looks too thin or runny when it comes out of the microwave – thickens slightly when left to sit for a minute or two. And when you’re on crutches, everything you pull out of the microwave sits for a minute or two while you get it to the couch. Overall 9/10, will eat again.